ITW GSE has built its reputation on our quality cables. 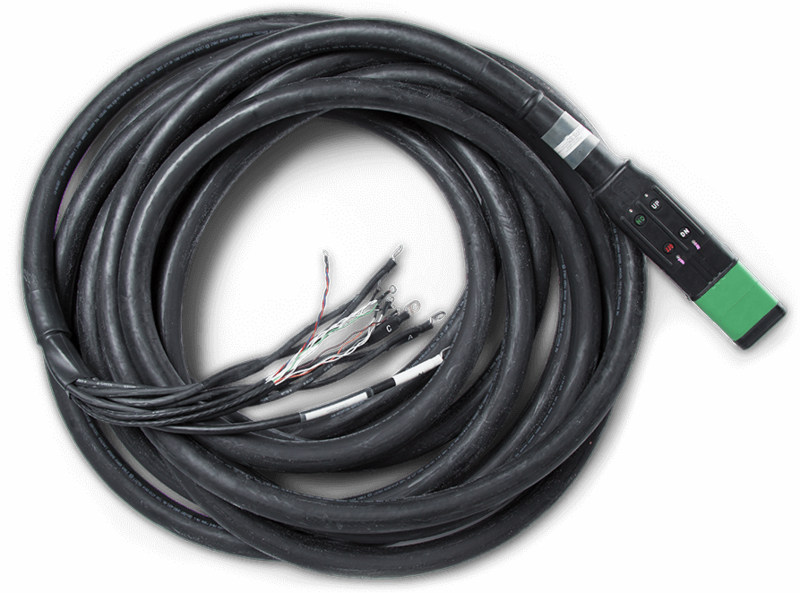 ITW GSE's Modular 400 Hz Cable Assemblies provide the best design with the maximum number of options. Our streamlined 400 Hz connector provides greater versatility for today's aircraft and future aircraft requirements. Cost effective – modular design, superior construction and durability reduce life cycle costs and increases productivity. electrical connections in the most adverse conditions. Available in ON/OFF, UP/DOWN, IN/OUT, and or LED‘s. 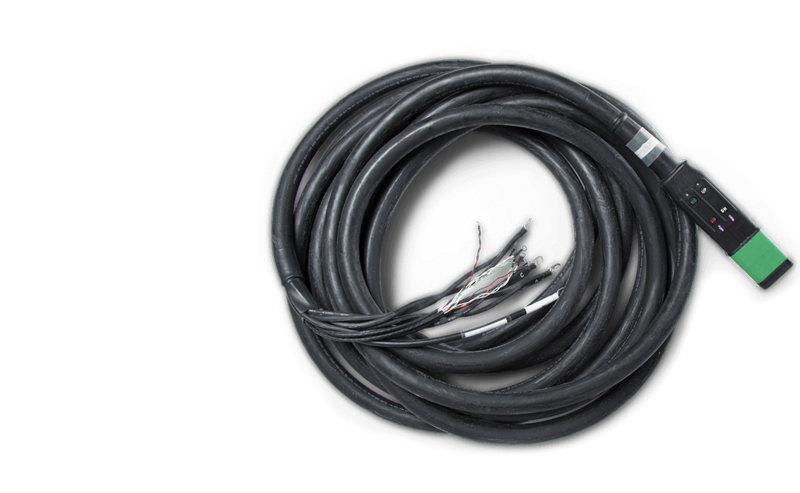 High performance – reduces phase unbalance by 97%, voltage drop by 35% over banded cable. Patented high visibility replacement contact section (nose) – allows for in-field replacement in 3-5 minutes and extends the cable lifetime. 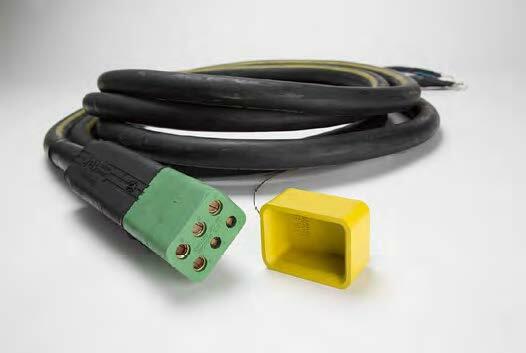 Cable assenblies ETL listed to UL standards, this is especially critical for airport requirements. Weight per foot: 2.1 lbs. The ITW GSE Cable Head Dust Cap ensures that debris and live connectors do not pose a hazard to personnel or equipment. The dust cap fits securely onto any new replaceable contact section. 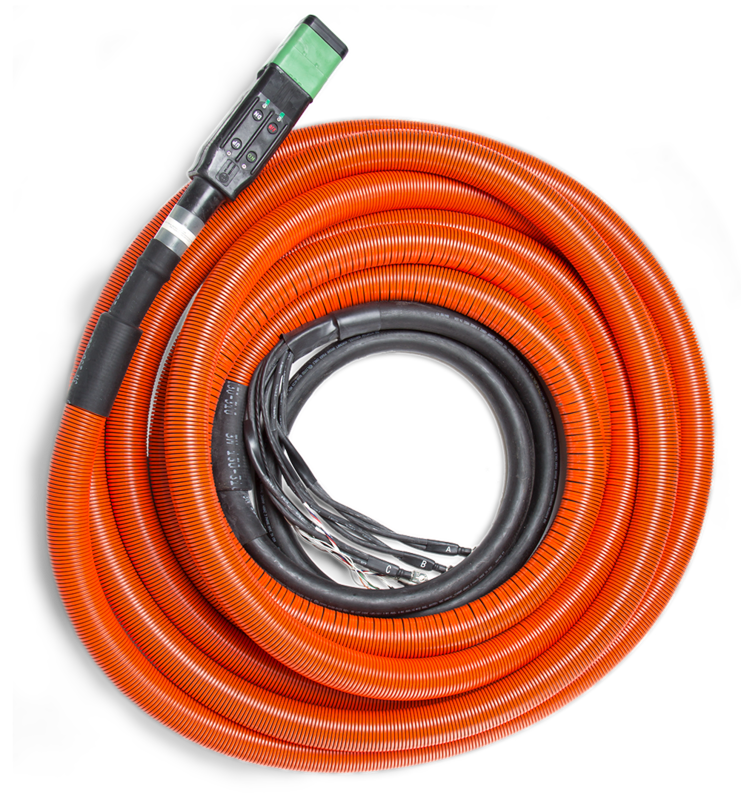 The ITW GSE Cable Scuff Jacket allows easy handling of the aircraft cable on the ramp and in hangar bars by allowing it to easily slide across the ground surface. The scuff jackets also offer protection against harsh environments and are secured with Cold Shrink. High visibility orange color for added safety.